Your Fountain of Youth is well within your grasp…let me help you see it more clearly. My 60 plus years on this planet includes two decades of learning while wandering the four corners of this earth. I did discover, to my dismay, that the Fountain of Youth, along with Shangri-la, are extremely elusive. So elusive, in fact, that most of humanity cannot or would not recognize them if they appear in front of them. I never really desired or set off to discover the Fountain of Youth. But, lo and behold, my experiences would lead me right to it. It was actually my experiences that would help me understand what the Fountain of Youth would mean to me. I slowly realized it meant to live a physically fit, mentally healthy and vibrant life. At first, I was absolutely elated having discovered something I could do by simply changing my life style, but new life styles do not come easily or all at once, you have to plan for it. And to plan a new lifestyle, you need to figure out your goals and what will work to help you fulfill those goals. There is not one Shangri-la or Fountain of Youth but instead there are various factors which include the air you breathe, the food and water you eat and drink and the activities you participate in that should help you reduce stress and burn calories. When put together in the correct formula these elements can hold off old age. Youth is nothing, if not fleeting! One spends their childhood trying to be old enough, and spends the next portion of life trying remain young. People age differently depending on many factors, but three of the most important factors are nutrition and exercise, as well as keeping your body and mind as stress free as possible. Traveling to the highest and lowest destinations, I’ve discovered that where the air is fresh and pure stimulates body functions. If you are lucky enough to leave congested areas behind and enter areas not spoiled by man, you will be amazed at how much better you breathe. But, that is not always possible. Interestingly, it is not always what and where you breath that air but how well you utilize your lungs. Correct usage of your lungs is of utmost importance for capacity and metabolism. You have to change your palette and allow your taste buds to experience new and different foods whenever you cross any border. It is almost akin to dressing for the occasion. I’ve experienced foods that were gourmet and then some not so much! There are so many foods and so little time to devour or even taste a portion of them. I, of course, want to eat only the most nutritious, eye catching and flavorful foods. Sounds good, but realistically it is not always possible no matter how stringent you are in searching for healthy foods that serve your body well. Remember: You are a product of what you eat ,and your eating habits. Your body is your personal machine and I might add the only functioning one you will ever have, so keep it lubricated with water, fueled with good food and inflated with pure air. Not only is water the elixir of life but also it is used for many other reasons. Where would the world be if it weren’t for swimming, sailing, ocean traveling, water fights, agriculture and, of course, bathing. Ponce de Leon was delighted, and I might mention, surprised, when he believed he discovered the legendary Fountain of Youth. Whether he really did discover The Fountain of Youth or not doesn’t matter, he is always credited in history books as having done so. I have had the pleasure and not so pleasant experience of drinking from springs, rivers, and lakes all over the world and I’ve experienced water at its worst and at its purest. When I was young my grandparents had a cabin in the northern California mountains and I can remember hiking up the mountain and stopping at a clear beautiful stream bubbling over the rocks, cold and wet. It was wonderful to drink directly from nature’s life giving flow. I know all water is wet but as a youngster and very thirsty it seemed to be the wettest and coldest of any water I’ve ever drank…my own personal childhood Fountain of Youth. When traveling around the globe I noticed certain countries had their own pastimes ranging from intense youthful sports to geriatric participation. I frequently noticed seniors digging and planting seeds side by side in local small-designated plots of land. It was not just seniors but people from all walks of life. Men, women, rich or poor, young and old love to play in the dirt. It would seem that gardening its one way to help people stay balanced with nature and fit and healthy both physically and mentally. Besides providing for their larder, their endeavors in the dirt reduce stress and slow aging. Even if you drink the purest water, eat the healthiest foods, live in the cleanest environment possible, breathe the freshest air, and are basically fit, something might still be missing. You may feel a lack of energy, millions of Americans do. They are suffering from middle age weight gain feeling old and lethargic. The Japanese Samurai discovered their Fountain of Youth eons ago. They discovered the body becomes bogged down with what they call, “aka” which is translated as sludge or rust in the body. The samurai who practiced swordsmanship lived a much stronger and healthier lifestyle. They discovered that the physical and mental energy expelled while sparing created a type of vehicle that got rid of the sludge and rust within the body. This theory has kept Japanese fit and trim throughout history. Recently traditional bamboo, wood and steel sparing swords have given way to breakthroughs in science and technology. We can now use newly developed resilient lightweight plasti-foam swords to capture realism of matching wits while crossing swords in what we call, “the ultimate game of physical chess”. These newfound ActionFlex swords allow one to effectively spar with speed and tempo using all muscle groups as they rid their bodies of waste, rust and sludge. 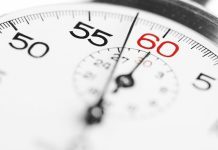 While this is happening your body will follow and create a natural process of rejuvenation…and slow down the aging process. 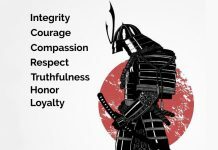 I have embraced and practiced the samurai’s formula for 40 years and it is my own personal Fountain of Youth, giving me excellent health and well being. Starting with my first day of training, until my last, these sword-crossing exercises have and will keep my mind and body functioning and youthful. They, or something like them, can do the same for you. 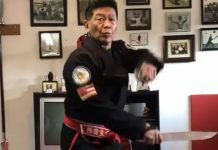 Black Belt Hall of Famer', Shihan Dana Abbott, has spent thirty-nine years in extensive study learning the ways of the Japanese sword, including 14 years in Yokohama, Japan. After graduating from Arizona State University in 1978, Shihan Abbott became a world traveler. In Japan he began his kendo/martial arts studies at Nihon Taiiku Daigaku. In addition, his bladed weaponry experience is extensive and well polished. He has taught and conducted seminars in over 30 countries. Shihan Dana Abbott is honored to hold the esteemed rank of Shihan 7th Dan, obtained at the Hombu Dojo in Yokohama, Japan.